Sheldon Hall is located in Grand Center and was built in 1912 by World’s Fair architect, Louis Spiering. It is best known for its history of attracting amazing speakers including Albert Einstein, Dwight Eisenhower and Ernest Hemingway. Since 1974, it has been a concert venue and is known all around St. Louis for its amazing acoustics. 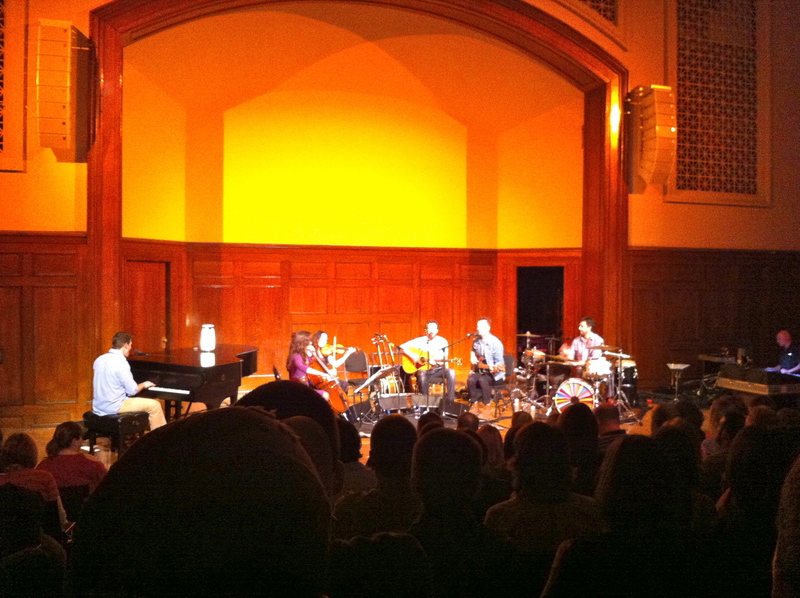 I saw an acoustic show by the band Guster at Sheldon Hall. The venue had a strict no photos policy for the Guster show, but I managed to sneak this one in. Yes, the acoustics were great and it was very cool to see such a prominent band in a very small setting. That said, I would not go out of my way to go to a show here, as save for a short list of venues such as the Fabulous Fox and the Ryman in Nashville, it is the performer that you go to see not the venue.